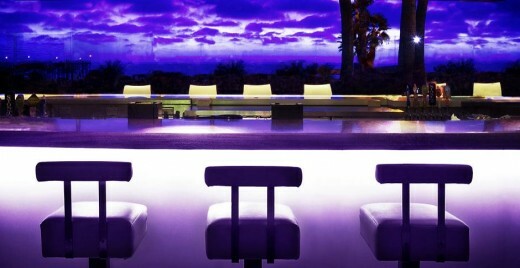 This Easter Sunday, April 8, 2012, make sure to enjoy your champagne brunch with a side of ocean views. 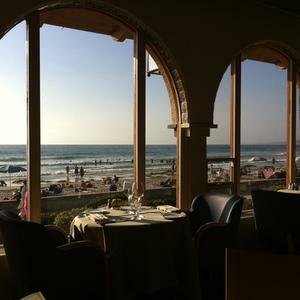 With San Diego’s 70 miles of beaches, it is easy to find an amazing restaurant at any point along the coast. Get the most mileage out of your Easter with these great beachside brunch recommendations. Reservations are limited, so hop to it! 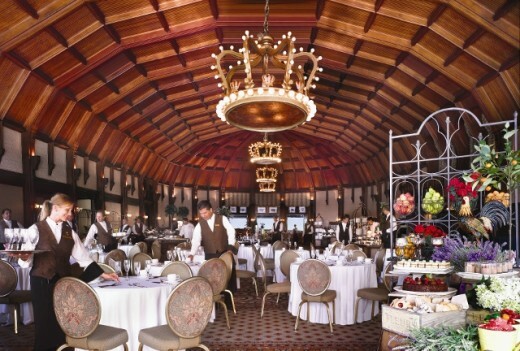 The Hotel Del Coronado Easter Champagne Brunch Buffet is the grand dame of Easter brunches, elegantly served in the oceanfront Ballroom and the magnificent Crown Room. The sumptuous buffet will feature classic holiday fare for adults as well as a special children’s buffet. Both the Crown Room and the Ballroom will have live musical entertainment. 9:00 am – 3:00 pm. $80 for adults and $34 for children ages 6-10 (not including tax and gratuity). Children 5 and under eat free. Celebrate Easter in the spirit of Aloha across the bridge from Coronado at Buster’s Beach House in Seaport Village with champagne, made to order omelets, carved ham and freshly baked muffins. 9:00 am – 2:00 pm. $23.95 for adults and $9.95 for children ages 3-ll (not including tax and gratuity). It’s not technically the beach, but you can dock your boat right outside the award-winning San Diego waterfront restaurant, Baleen, at Paradise Point Resort & Spa this Easter. The menu will include brie and apricot waffles, apple-brined porkchop and upside-down pineapple pancakes (yum!). 10:00 am – 3:00 pm with entrees starting at just $12. Beautifully perched on the Pacific Beach boardwalk, Jrdn at Tower23 commingles California casual and West Coast hip and is perfect for those interested in a little less Easter and a little more beachside brunch. Full brunch menu from 9:00 am – 4:00 pm. 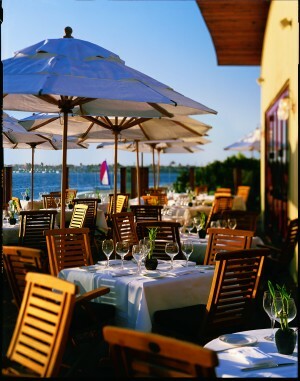 Join The Shores Restaurant at the La Jolla Shores Hotel for an extensive oceanfront brunch buffet this Easter. Executive Chef Bernard Guillas and Chef de Cuisine Amy DiBiase highlight local flavors with special menu items, such as Lavendar Honey Glazed Bone-In Iowa Ham, a decadent French Toast Station and Children’s Station. 10:00 am – 2:30 pm. $46 for adults. $23 for children ages 6-12, $4 per year for children 5 and under. Can’t decide between oysters and omelets this Easter? You don’t have to at Waterfall Terrace at L’Auberge Del Mar. 10:00 am – 3:00 pm. $65 for adults and $32.50 for children ages 12 and under. With 70 miles of beach, I couldn’t list them all! Where will you be brunching beachside this Sunday?